Patrick Meehan, 72, Killed In Accident Near PGA Boulevard | Schuler, Halvorson, Weisser, Zoeller & Overbeck P.A. 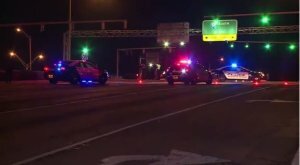 Patrick Meehan, 72, of Palm Beach Gardens was struck and killed while crossing North Military Trail, north of PGA Boulevard. The fatal incident happened near the entrance to Garden Square Shops Plaza, Palm Beach Gardens Police reported. First emergency responders arrived at the scene of the accident shortly after the accident happened. Meehan was pronounced dead on the scene. Eyewitnesses at the scene reported that a red 2013 Dodge Durango SUV struck Patrick Meehan who was walking across the street. A witness who lived nearby added that the vehicle continued traveling westbound on PGA Blvd after it struck the pedestrian. In an official statement issued, the Palm Beach Gardens Police stated that the 51-year-old Dodge Durango driver has turned himself in and confessed to crashing into 72-year-old Patrick Meehan with his red 2013 Dodge Durango. According to reports, he told police he earlier fled the scene because he panicked after fatally striking 72-year-old Patrick M. Meehan with his SUV. Police placed him under arrest and charged him with failing to remain at the scene of a traffic accident involving death. Patrick Michael Meehan was an English teacher at Palm Beach Gardens High School until 2017 when he retired. Principal Larry Clawson said Meehan was a good guy who cared greatly about his students and they were comfortable around him.